Storytime at the Westerville Public Library. ​Check out my video by PBS! The time lapse is awesome!! 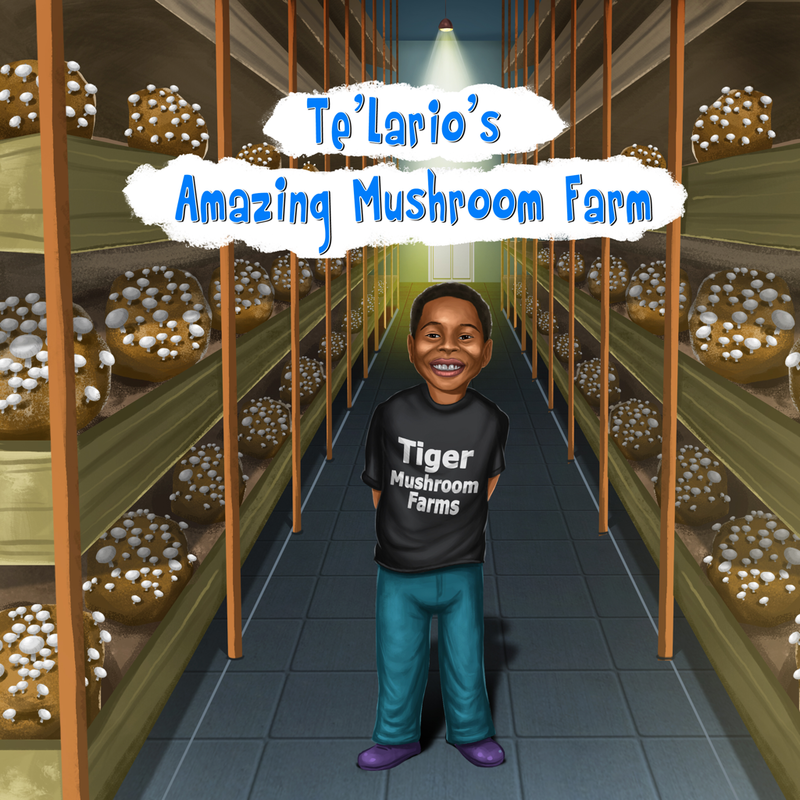 Tiger Mushroom Farms is a small family-run mushroom farm founded by te'lario Watkins II when he was seven years old. Tiger mushroom farms offer a variety of mushrooms & mushroom products; shiitake and a variety of oyster mushrooms. 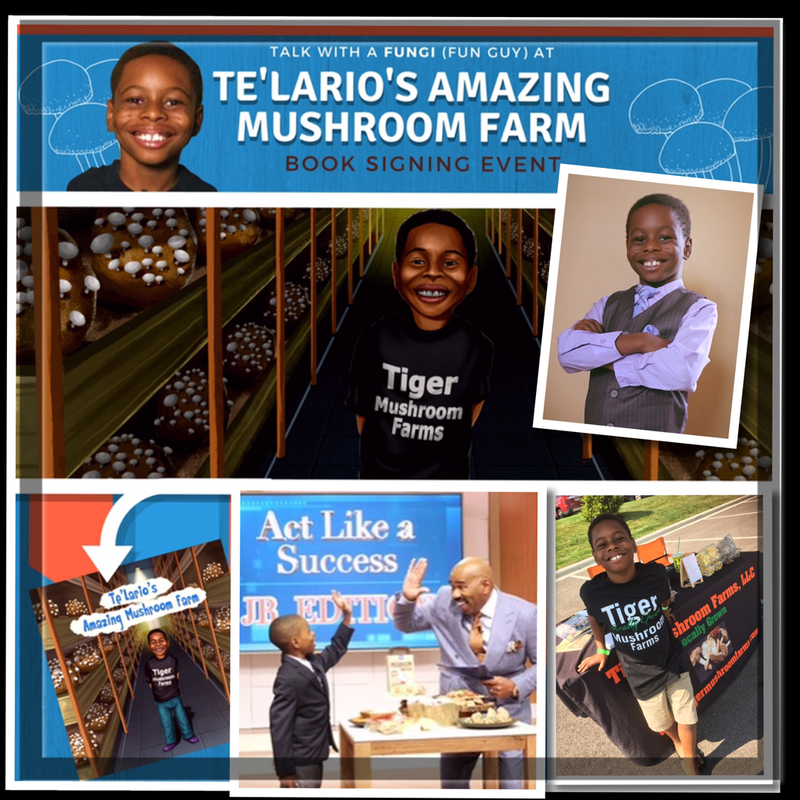 te'lario, now TEN, is a published author, speaker and philanthropist. CHECK OUT MY DAY IN COLUMBUS WHEN I DID AN INSTAGRAM TAKEOVER FOR COLUMBUS PARENT MAGAZINE!! These awesome guys are my mentors!! 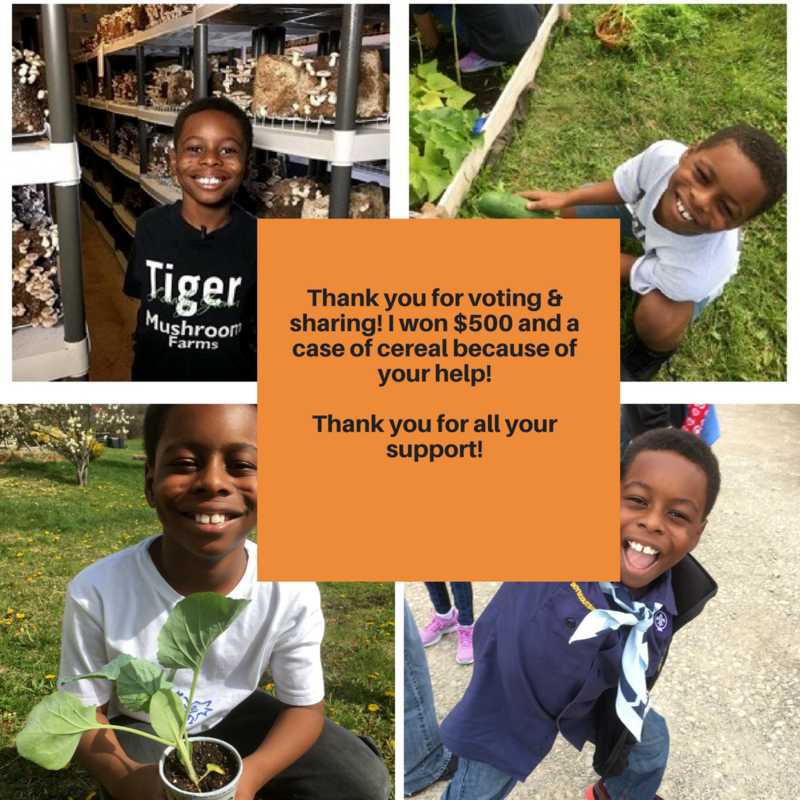 ​Alex & Nikhil you are the BEST!! Thank you!! I'm SUPER excited to announce that my 1st book will be out this Fall. ​Steve Harvey Show OCTOBER 16th!! We were so excited to be in a segment on Good Day Columbus﻿ FOX 28. Check out some pics from our morning on set!